Summertime might be coming to an end but the summer weather here in Florida sure isn’t. The humidity and heat have been nearly unbearable the past few weeks. 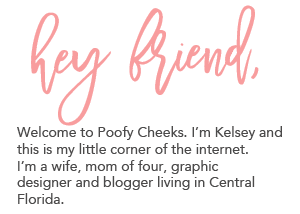 I ran to Publix the other day and worked up a sweat going from the car into the store. I feel like I always complain about it this time of year but when it is in the mid 90s, no breeze and a light rain each day making the humidity levels skyrocket I think I am entitled, right? It makes me want to move right back to Illinois no questions asked. I talk a lot about my husband’s job in law enforcement and how he puts in long strange hours. This summer has been the same so I am proud to say I mastered the grill this year! I might make all of my steaks well done but I can do a mean grilled chicken breast, veggies and even have a few desserts under my belt. Whoa, wait did someone say dessert… on the grill? Why yes I did! 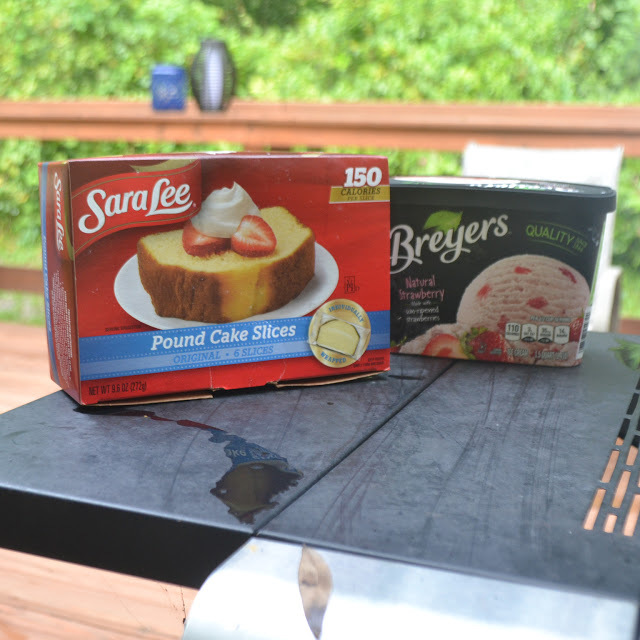 I’m sharing the easiest pound cake ice-cream sandwiches made with Sara Lee® pound cake and Breyers® strawberry ice-cream. Since the reason I love grilling so much is because it leaves very little mess an entire meal on the grill is a busy mom’s dream. Unwrap the pound cake slices and put them onto a grill at medium/low heat. Cook each side for about one minute until warm. Scoop ice-cream onto one slice of pound cake and top with another slice. Yep… it is THAT easy! To make it even easier I scooped my ice-cream into a sheet of wax paper and wrapped it into a long rectangle so once the pound cake slices were finished I could slice the ice-cream and put it right onto the cake. The sliced ice-cream makes the sandwiches prettier and easier to eat. your local Publix while supplies last. Even our littlest man approves. He was trying to chow down on the sandwiches while I was taking pictures! I may have had to edit out some tiny toes and fingers from these pictures. Follow along on Instagram to see all of the behind the scenes posts like the one below!